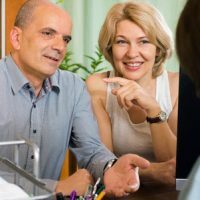 While you may have a solid credit score and take pride in your ability to balance your budget, unexpected situations can easily arise which can put your financial security in jeopardy. Family emergencies, accidental injuries or illnesses, and job-related issues can all strain your income and zap your savings, causing you to fall behind on payments. Protecting your assets against potential creditor claims should be a top priority, regardless of the size of your estate or the amount of your debt. Following a few simple rules can ensure you are prepared if the unexpected occurs. In today’s economic climate, it is easy to get overwhelmed with debt. Between mortgages, home equity loans, car payments, student loans, and credit cards, your monthly payments can easily strain your budget, and any unexpected losses can cause you to fall behind in payments. Be honest. If you cannot pay the amount they require or cannot make a payment by a certain date, let them know upfront. Do not be persuaded to borrow money to pay a debt. While debt collectors often suggest this, it will only get you further into trouble. Pay secured debts first. Debts which use your home, car, or other property as collateral should take top property, to avoid having these items foreclosed on or repossessed. Even if a loan is unsecured, a creditor can initiate legal action to enforce payment. If you receive a court summons, consult with an attorney right away. Plan ahead. The time to develop an asset protection plan is before problems arise. Once you receive a demand letter or a claim is filed, it is often too late to shield your assets. Use the proper tools. Personal assets should be placed in trusts, not in business entities. Use a properly drafted and funded trust to protect your personal property and financial accounts, and keep your business entity strictly for business assets. Asset protection and estate planning are not the same thing. While they do work together, you need both to ensure you are protected. Asset protection does not take the place of insurance. Liability, disability, and professional insurance policies are meant to complement your asset protection plan, and often cover legal fees in the event you are sued. Make sure your hard-earned money and property is protected before problems occur and contact our asset protection attorneys today. We can help you coordinate a plan that works with your existing estate documents, helping to shield you in the event creditor claims arise.